Total Workshop search results: 48. Displaying Page 1 of your woodworking search phrase CHILDRENS PLAYHOUSE. Build this fun childrens tractor play set using the free downloadable woodworking plans at the link. At the link you will find the tools list, cut list, and materials list as well as step-by-step instructions to build this fun playhouse. 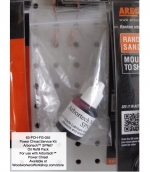 Link Type: free plans | Link Source: HomeDepot | Visit the category | Fix Link? At the link are free woodworking plans to build this cute playhouse. Be sure to click through to part 2 and 3 to continue the project. Link Type: free plans | Link Source: MyOutdoorPlans | Visit the category | Fix Link? Build this simple 6 x 6 ft playhouse using these free step-by-step woodworking plans. Build this backyard childrens playhouse using these free woodworking plans. Link Type: free plans | Link Source: HowToSpecialist | Visit the category | Fix Link? Build this backyard playhouse using these free woodworking plans. Be sure to follow through to part 2 and 3 to complete the project. Build this childrens playhouse using the free downloadable plans at the link. Link Type: free plans | Link Source: Scrollsawer | Visit the category | Fix Link? Here is a quick and easy project your child will enjoy for a long time. Build this playhouse room divider using these free woodworking instructions. Build this childrens playhouse using these free step-by-step plans. Be sure to follow through to page 2 and 3. 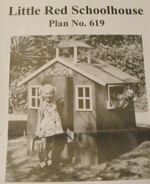 Free plans at the link to build this 6 x 6 foot outpost playhouse. Perfect size for the backyard. This playhouse measures 10 x 10 feet and requires about 25 pallets to build. Download the free plans at the link. Use these detailed step-by-step plans to build this beautiful backyard playhouse. It is sure to get hours of playtime. Follow the prompts at this link to view the free woodworking plans for this backyard hideaway playhouse which measures 8 x 8 feet. Build this beautiful childrens playhouse using the free downloadable woodworking plans available at the link. Build a playhouse that is a little different than what you normally see. Here is how. Link Type: free plans | Link Source: DIYNetwork | Visit the category | Fix Link? Children will love this Little Red Schoolhouse playhouse. Easy to construct with basic framing and is made mostly from plywood. Step-by-step instructions, photos and diagrams are included. This is a vintage woodworking plan. Visit our FAQ page for a full definition. View the Larger Image Slideshow to see the actual item you are buying.